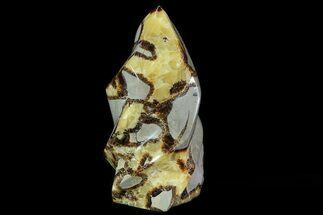 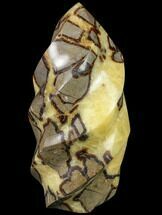 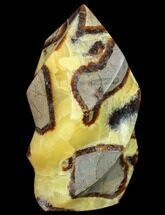 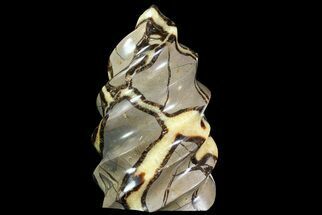 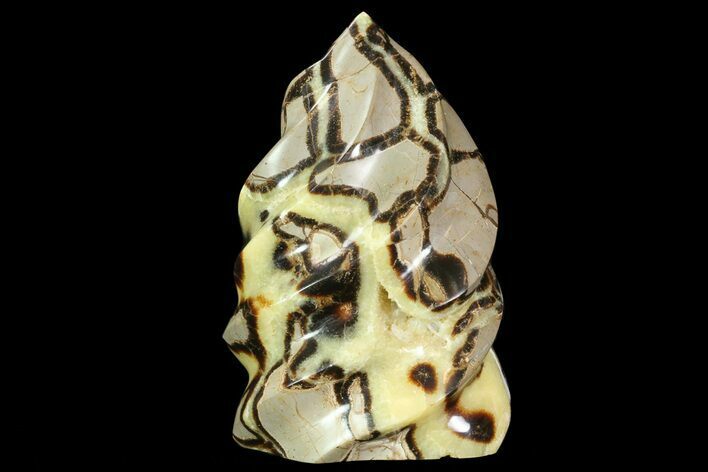 This is a 8.6" tall, polished piece of septarian, sculpted into a twisting sculpture shape. 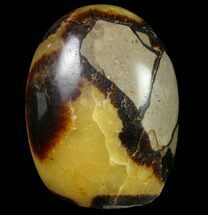 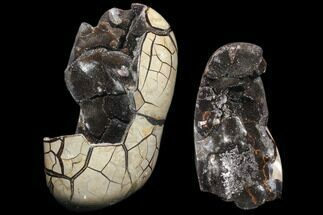 The Septarian was collected in the Betsiboka Region of Madagascar and is mid Jurassic in age. 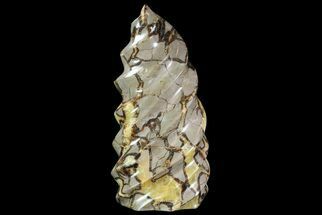 It makes for a very eye catching display piece. 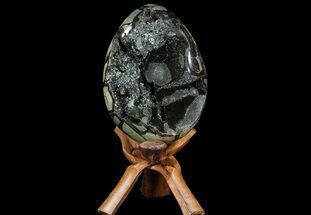 There are two small geode pockets on the sculpture, one with calcite crystals which makes this piece just that much nicer. 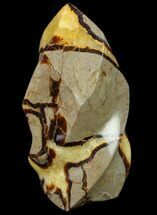 Note: There are a couple of chips out of one side of the piece, but they are not visible if viewed from the other side.